With all the speculation run rampant about the latest and greatest iPods possibly getting announced shortly, I'd like to add my two cents. 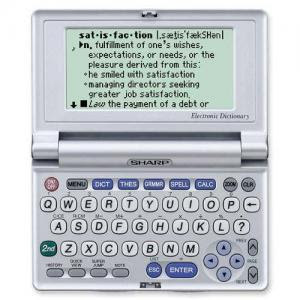 No matter what shape or size these new 6th Generation iPod Nanos turn out to be, you can rest assured that they will be sleeker and sexier than the PDAs from days gone by. Because screen-protector-technology hasn't realy advanced much, the biggest difference between a screen protector for an 8 year old PDA and a fancy touch screen Apple product is the dimensions of the plastic, and that isn't anything a scissors couldn't solve. 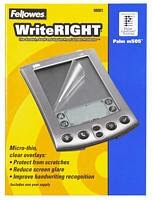 I don't know the whos, the whats, or the why-fors but the screen protectors for the Palm m505 are the dirt cheapest I could find online. Maybe all the m505s are all broken, or maybe Fellowes just manufactured way to many. But for a couple bucks you can get a package of 12 screen protectors. That is dirt cheap. Now it doesn't matter what size or shape the new iPod turns out to be, you can be rest assured that your screen protector will be big enough to cover the iPod Nano Screen, all you have to do is cut it to the proper size. Don't have a scissors? Those are easy to find. You want to skip all the cheap kiddie scissors and the blunt safety scissors and just get yourself a nice new sharp scissors. 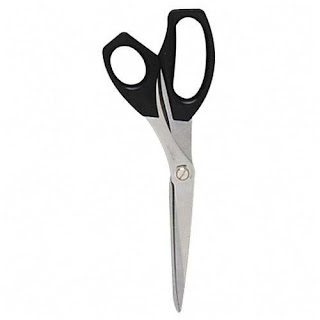 Premium Scissors are still crazy affordable and for about a buck you can be assured that the double bevel ground edge on one of these new scissors will cut through a vintage screen protector better than the scissors you've been using to cut apart tin cans in your basement. 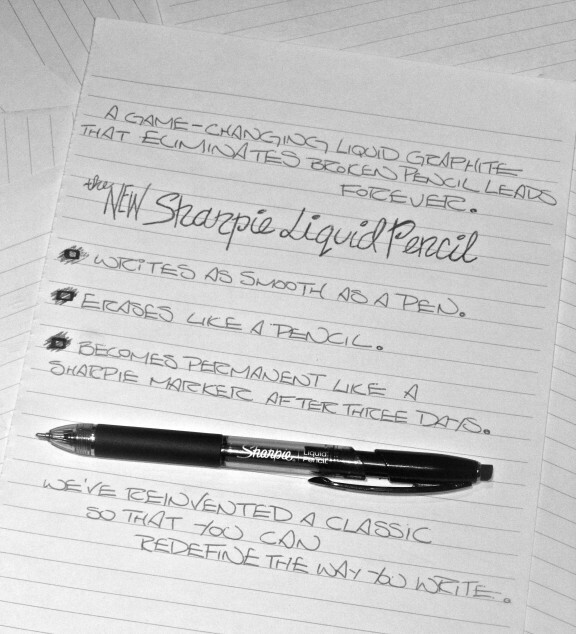 I have been try to get my hands on one of the seemingly mythical Sharpie Liquid Pencils since I first heard of them, but the last I heard from Sharpie they were not supposed to be available until September 2010, and it is still August. Some people have reported finding them at their local brick and mortar Staples, OfficeMax, or OfficeDepot store, but I haven't seen any. I imagine that not all office supply stores have the patience of a video game store and keep a product off the shelf until the official release date. You can find one seller on the Amazon Marketplace and one online retailer who seem to have managed to get their hands on an early supply and are charging odd prices. 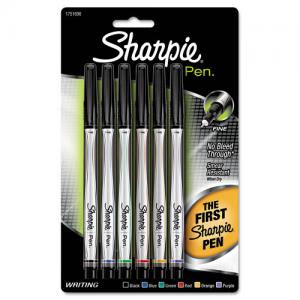 Of the big three, Staples, Office Depot, and OfficeMax, only Office Depot appears to be selling them online. The only reviews posted appear on Amazon's page, and some of those people got their products really early according to the time stamps on the reviews. We immediately got on the phone with our favorite suppliers and had them check their stock and see what it would take to get us a few. They said they had them in stock, they had the SKU SAN1770244 in their system, ready, and able to be purchased. Sadly our interface into their system reported no-stock on the item even though a live human being said they had them in boxes ready to be shipped. I'm not sure what is happening, but I assume that our supplier is just doing a better job of following Sanford's rules than a couple different retailers. So until I have a Sharpie Liquid Pencil in my hot little hand I'll just keep taking notes and making doodles with my blue Sharpie Pen and patiently waiting. 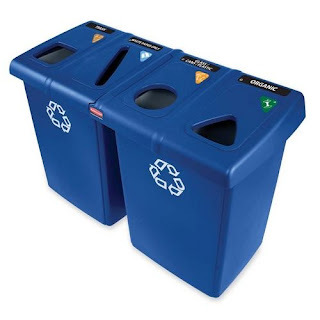 The City of Cleveland Ohio recently announced that they are going to be rolling out a high-tech solution to get people to recycle more than before. Each recycling bin will have an RFID tag and the recycling truck will take a note of how often you are taking out your recycling. 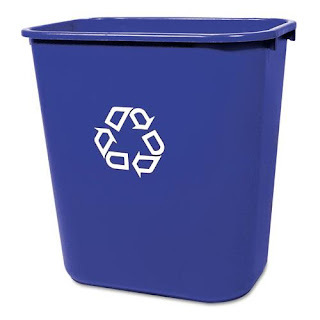 If there is a large lapse a sanitation engineer will check to see if you are putting a large quantity of recyclables in your trash and you may be charged a fee. To avoid this fee Clevelanders should probably think about investing in a nice Discounted Recycling Bin to keep around in the place. As with all news on the Internet it is currently being discussed ad nauseum in some comments sections with opinions flying every which way but loose. Thankfully this is an opinion column so I'll leave all that out and suggest maybe you need to turn up the pressure to remind people at your office to recycle everything they can. On that note Rubbermade has manufactured a commercial grade recycling collection system that they call the "Glutton Recycling Station." The kit includes 4 of the 23 Gallon Slim Jim containers that you put inside 2 of the 1/2 Glutton 56 Gallon containers and one huge lid with a bunch of swappable restrictive openings and a bunch of stickers to label things. Because this is a Rubbermade container you know the Glutton is built to be a Glutton for punishment as well. Since the Glutton is built with 30% post-consumer recycled resin you can rest assured that your purchase of a recycling system is helping to keep a little more trash out of the landfill even if you never use it. Hey look, here's a thing you should pay attention to. How do you know you are supposed to pay attention? I used all caps and made a reference to a U2 Album, but this is the Internet. How would you know in real life? I could yell at you a lot, but I would get tired and might need a bathroom break, and you might not be able to hear me. Well, you'd probably end up falling down a well with out a proper warning. I could paint a big sign that says "WATCH FOR FALLING ROCKS!" in Comic Sans, that would really get your attention, until it got dark. If I painted a sign, attached lights, and a siren then you would surely know that Anvils may be dropped from hot air balloons. But this is the real world, where you don't paint big signs and lights and sirens cost money and annoy the neighbors. You want a cost effective solution that will catch people's attention day or night and have I got a deal for you. 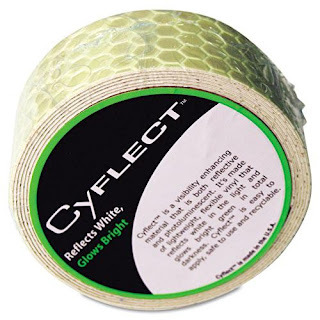 Reflective Glow in the Dark Tape. Sure you may have had reflective tape attached to your hindquarters as a young child on Halloween and I really enjoyed my knock-off glow in the dark light sword (some kids had battery powered Lightsabers) but this is modern technology. If there is light around or a light source it'll reflect white back at your eye sockets. If there isn't immediate light it'll glow in the dark and glow bright green back at your eye sockets. Are you sold yet? No? Let me try a pitch they use on TV, I'll shout buzzwords and key-phrases at you. LIGHTWEIGHT. FLEXIBLE. RECYCLABLE. MADE IN THE U.S.A. Now get out there and cover your world in reflective glow in the dark tape. You don't want any accidents on your watch. 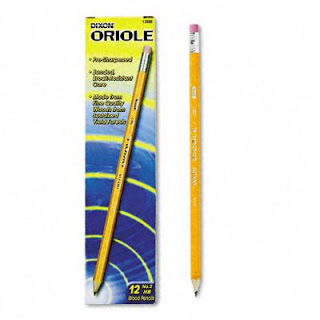 When was the last time you sharpened a pencil, I mean really sharpened a pencil? 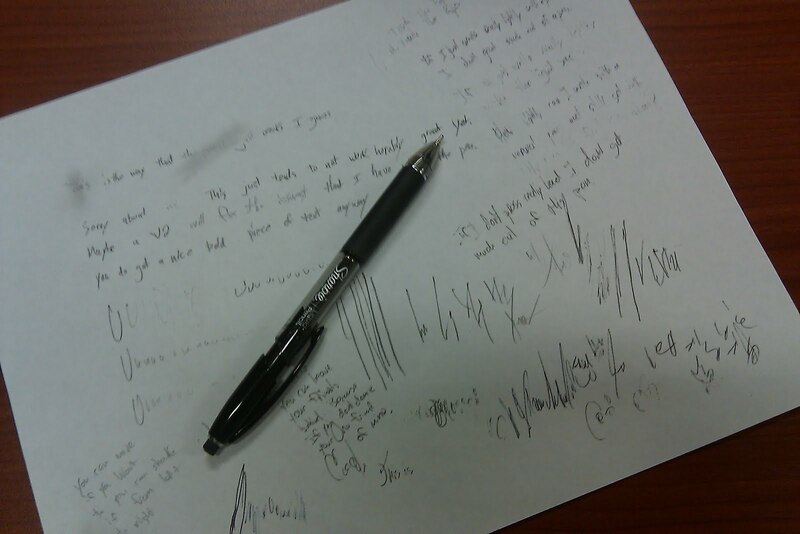 Most people I know have given up on sharpening pencils and have just gone all pen or mechanical pencil. A good number of those people around who still sharpen a nice wooden pencil probably use fairly inexpensive pencil sharpener that whittles the wood to a nice cone, but doesn't do much to actually keep the graphite core sharp. When I was last interested in proper drafting we used a lead pointer to make sure that the graphite was as sharp as possible to make sure our lines were thin, slim, and perfect. 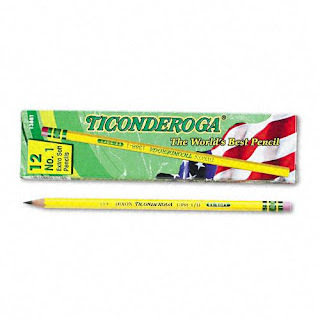 I'm not going to lie to you, a #1 Dixon Ticonderoga is a seriously classy pencil, and deserves a little more respect than to be chewed on by an overly aggressive electric pencil sharpener. Sure the pencils are cheaply mass produced and you can buy another dozen for less than cup of coffee, but why not cherish the moment and treasure the small things. These days most drafting is even done with mechanical pencils, and I have to assume that there is no way you can get the same crisp lines of the old days. One man has taken it upon himself to make sure that we as a country give a properly sharpened pencil the respect it deserves. For a price David Rees will sharpen any pencil you send him, or if you prefer he'll pick a pencil to sharpen for you. Is it a joke? Maybe, but at the same time you are getting a unique one of a kind sharpened pencil that could pass as art. There are enough people giving him money to sharpen their pencils, so clearly he's making some money so even if it is a joke it's a good one. 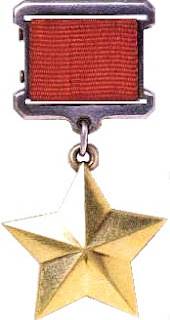 I was just in a meeting with a few other people where it was mentioned that somebody earned a gold star. This is generally meant in the most sarcastic way possible. As if to say: "Congratulations, you are SOOOO helpful, now get off my lawn you glory hound". If we take the time to over analyze this "gold star" as people are want to do on the internet we can come to a couple interesting conclusions. First we should assume that people are actually being sarcastic and they are referring to the stickers that school children would get on their paper work for a job well done. Also, we need to assume that a yellow sticker is our intended gold star. 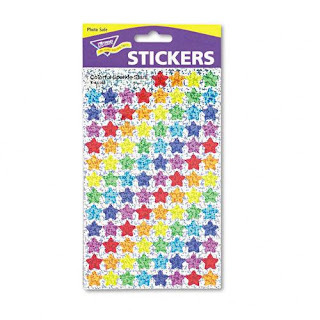 It isn't to difficult to find star shaped stickers. I found a pack of Trend Sparkle Stars and a pack of Avery Stars. 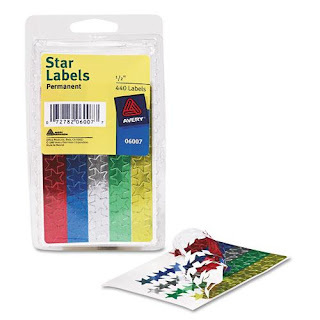 Given that 440 Stars come in a pack of Avery Stickers your average star is roughly worth 0.0025 cents. In that pack of 440, you'll get 88 gold stars. If you make the brash assumption that the gold stars are the most valuable stars in the pack at most they'd be worth around 1 cent. That's assuming that the other colored stars aren't worth the foil they are printed on of course. So If somebody gives you a Gold Avery Star at best they think your contribution was worth one penny. A Pack of Trend Sparkles stars are a little different, you get 1300 in a pack so your average star is worth about 0.004 cents. Things are looking up for you! In that pack of 1300 stars you'll get 182 individual gold stars. If we again make the assumption that the gold star is the most valuable star and the rest should really just be thrown away your gold stars are worth somewhere in the neighborhood of 3 cents each. If we lived in the days of a proper five and dime store you could theoretically get a piece of candy for one Trend Sparkle Gold Stars and two Avery Gold Stars. Of course there is actually a real Gold Star award. The Soviet Union and several post-soviet States had and have this awarded to only the most heroic of heroes. It is the one badge that should be worn above all other badges on your uniform. So when that pesky guy from accounting tells you that you deserve a Gold Star you can tell him you were never much for Communist Era Medallions but you'd be glad to start a collection. "What they're saying is a (commercial-grade) stapler ... should get the same discount as a (regular) stapler," said GA spokesman Steve Valandra. Now, I know a thing or two about staplers and I have seen my fair share of them come through my office and the desks around me. Now I have spent some time in government offices and sat in front of and behind a government desk or two and I know the paper work they see isn't that much different than the paper the rest of us in the business world see. You get a stack of papers that are related and you want to attach them together, so you staple them, no big deal. 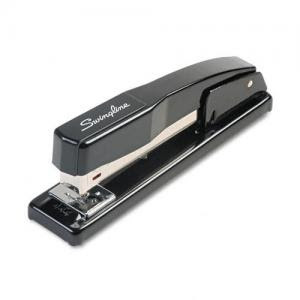 Now for the sake of argument, lets throw out the cheap kiddie staplers with iMac colors and the big poppa industrial electric staplers and focus on a narrow subset of staplers, hand operated professional-looking desk staplers. For around $3 you can get yourself a fairly standard looking economical stapler with no frills. It is made with high-impact plastic, but it is still mostly plastic. Add another buck and you can get yourself an all metal Swingline stapler if that's a little more your style. 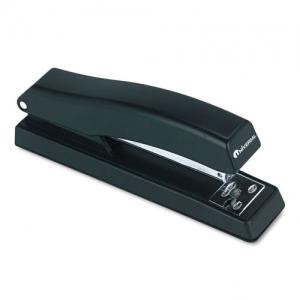 There is a good collection of staplers in various shapes and sizes as you get even more expensive that go by names like "Executive Staplers" and "Contemporary Staplers." A good quality commercial desk stapler will cost you around $8, but if you buy in bulk you can get them for even cheaper, and I would hope that the whole state of Washington would buy staplers in quantity equal to or greater than 24. Office Depot sells that stapler for... well you can see what they sell it for, and if the reviews on Amazon are to believed, there isn't any reason anybody would want or need any other more expensive stapler. So yes, while we, the general public, do understand that there is a difference between the cheap plastic stapler you buy for your kids to staple together their riveting 13 page dissertation on the Kittens Inspired By Kittens video for their 3rd grade teacher and a nice all metal commercial desk stapler, there is also a large difference between what you pay for that same stapler at a place like Office Depot or Staples and what you might pay for it at a Discount Office Supply website. So while kicking the noun to defecate out of somebody's noun donkey doesn't sound nearly as bad and doesn't have the same ring to it, it will confuse most seven year olds, and that confusion might be worth it if you don't want to have to cover those younger ears when ever you want to talk about You-Know-Who. But before you go out and start talking about defecate, donkeys, and female dogs maybe you should just go wash your mouth out with 72 bars of soap. 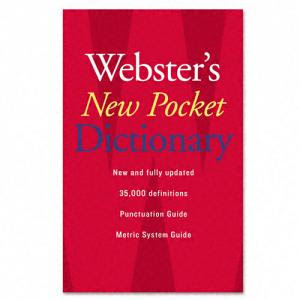 Speaking of things that young kids do with a dictionary my favorite prank was to tell people that they needed to go look up "handsome", "polite", or "clean" in the dictionary because they would find their picture next to the listing. To properly prepare for this gag you do need to put your best seven year old art skills to the test to create a proper likeness of your prank target that would look like the popular presidential portraits and remember to label if your artistry isn't up to par. I found that post-it notes work well for this prank because you can attach them to the page and the adhesive won't tear the page or leave smudges when they need to be removed. Granted, I didn't put the post-its next to those specific words and nobody actually would look up those words I did tell them to look up, but it is the though that counts. Those three magic words "Back to School" will send shivers up the spine of any red blooded American child when ever they are uttered. In the spirit of creeping out all of those children as much as possible American Express recently issued a press release with their projections for Back to School spending. 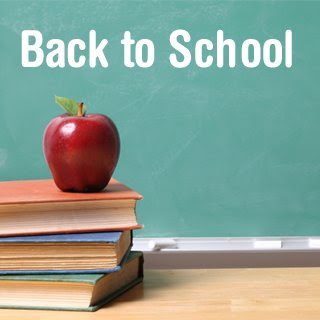 Their information shows that 39% of back to school shoppers are planning on spending more supplies than last year, so 61% of all consumers are planning on spending less than or equal to amount they spent last year. The study goes on to say that 94% of all respondents where going to find ways to stretch their dollars and get more for less, and apparently money is no object for 6% of those Back to School shoppers. While we can't help you out with making sure your kids are dressed to the nines and have the latest gadgety game player do-dads we can help stretch those school supplies budgets just a bit further. 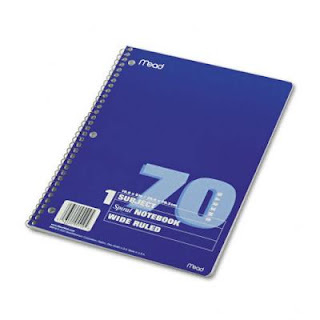 A one secret of the frugal is that a #2 pencil is still a #2 pencil and a folder is still a folder. It doesn't matter if that pencil or folder came from a special Back to School section with "Rolled Back Prices", a big box office supply store, or if it was shipped to your door from one of 72 warehouses after you bought it online. The only difference in those basic school supplies is going to be the price you paid for them, in dollars and cents or lost hair due to stress. I don't know a lot about Back to School shopping (it has been many years since I had to be directly involved) but I do know a few things about retail tactics and the reason that they keep their Back to School supplies in the back of the store is it forces you to pass aisles and aisles of other things you might need to buy as long as you are out and about. It happens thousands of times a day during Back to School season, people go to a store to buy a notebook and dozen pencils and leave with a full wardrobe of Ed Hardy sweat pants and a frying pan endorsed by Nick Jonas (if they are lucky they remember the notebook and pencil). When you choose to buy your Back to School supplies online not only are you going to get great prices and a great selection but you won't get distracted by a display with Vince (the Shamwow Guy). 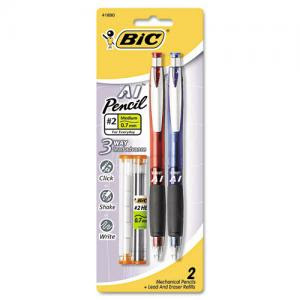 Thanks to advances in searching and sorting technology you can type a search phrase like "Dozen #2 Pencils", sort by lowest price, add it to your cart go on to the next item on the list. You won't find convenience like this in a brick and mortar store. A distinct advantage to buying your Back to School supplies from an Office Supply website is that we don't carry products that are geared specifically to catch the eyes of a younger audience and catch the wallets of their parent's wallet or purse off guard. You can save a significant amount of money by purchasing plain products. 25 standard multicolored folders from any Office Supply website will easily cost less than a couple Lisa Frank folders from any retail chain. 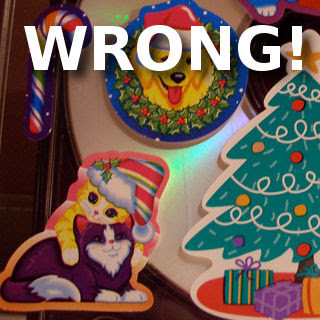 As a matter of fact if can find Lisa Frank products on an Office Supplies website you probably shouldn't be looking there for Office Supplies, and yes there are places you can still find Lisa Frank products if you are so inclined.